So in honor of all of you pickle-and-wine lovers out there, here’s an RTM twofer: AJ’s Pickle Patch and Blue Mountain Vineyards. Sometime in the 90s, it seemed that every out-of-the-way patch of unsuburbanized land in New Jersey was being turned into a vineyard, as if some Nate Silver type whiz kid had analyzed the data on longitude, latitude, microbes, and water table for the south of France and figured out that Monroe, NJ was almost exactly the same. Now, I’m a Jersey booster through and through, but, with a few exceptions, wine from Jersey is terrible. And, I figured wine from PA couldn’t be much better. I was wrong. 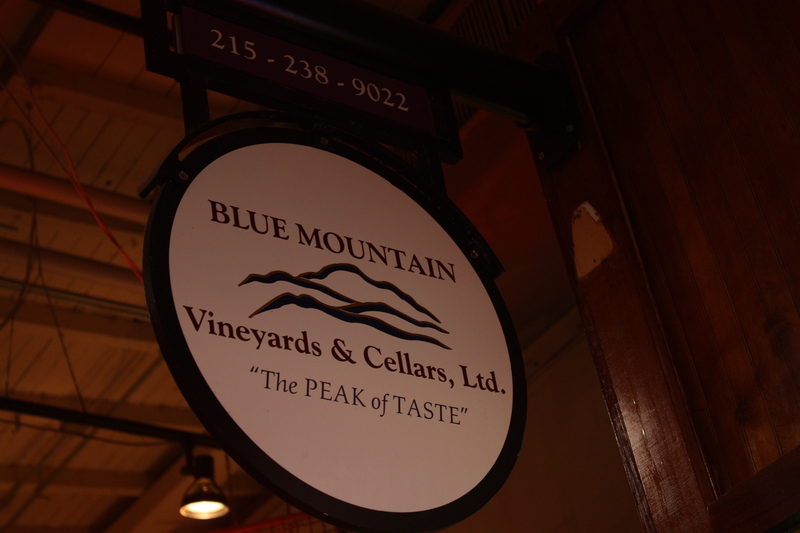 Enter the Blue Mountain store and you’ll find racks of PA wines and paraphernalia. Sidle up to the counter and, if you’re going to buy a bottle, you can get a taste of that wine, which seems a little counterintuitive, but so be it. You can also buy a glass to taste there. I walked away with two, Victoria’s Passion and a Cabernet Franc. 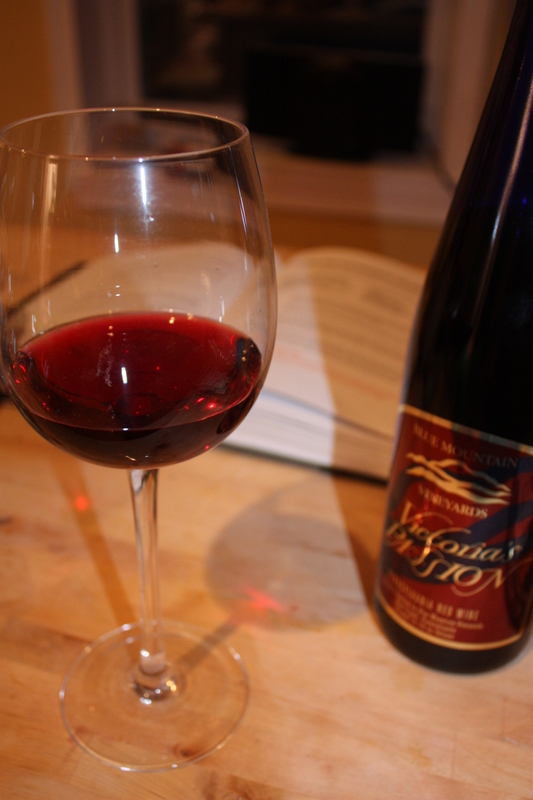 Victoria’s Passion sounds like an 80s nighttime soap opera and, indeed, this wine might well fit the heroine of such a show. It’s thin bodied and sweet, but with a pleasing bitterness on the way down. 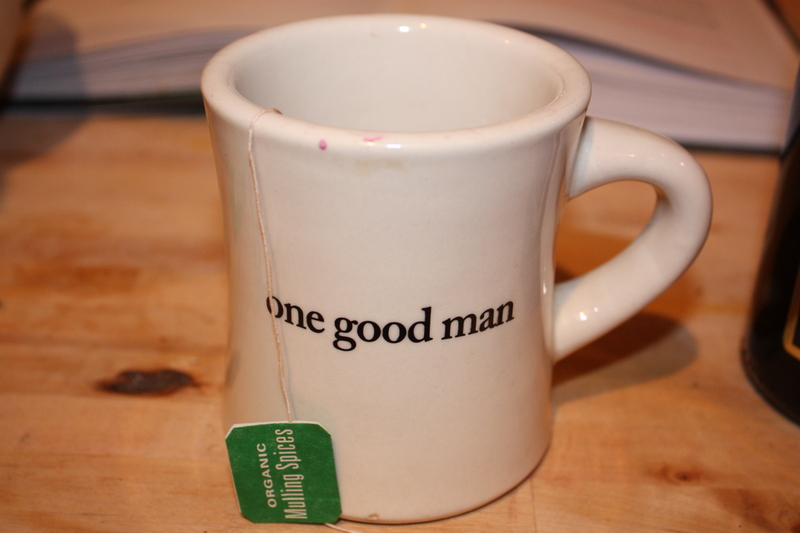 In a wine daze, I made microwaved mulled wine with it using Martinelli organic spices. This was a mistake. Maybe the microwave made it seem harsh, or maybe it just needed a bit of honey or sugar to do the trick, but it was bitter and muddled in flavor, which is a shame because hot mulled wine always brings back good memories for me–from standing outside watching an historical reenactment in freezing weather sharing a thermos of it to a big pot bubbling on the stove for holiday parties in Minneapolis. The Cabernet Franc was hugely different, much more what an imported wine would taste like–drier, though also with a thin consistency and a considerable amount of smokiness. My companion thought it tasted salty, but I think he’s missing several taste bud regions. Wine drinking needs snacks, amirite? 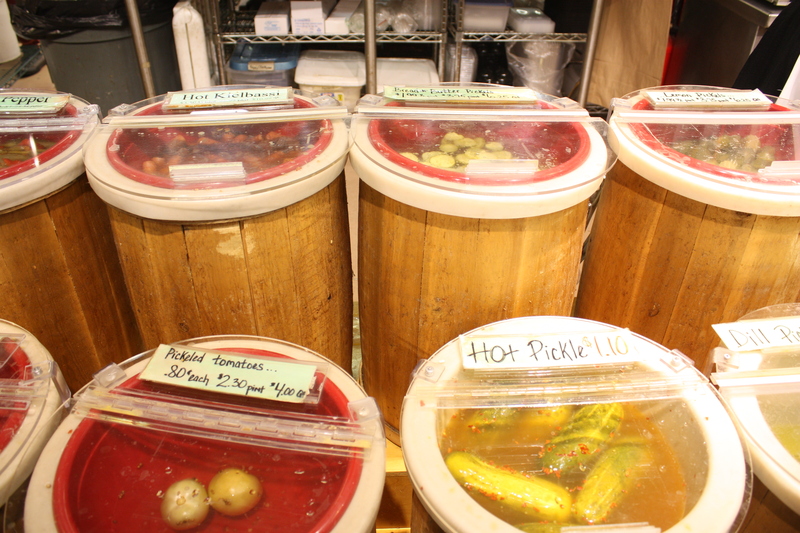 And what better than three kinds of pickles from AJ’s Pickle Patch, an adorable spot with barrels of old-fashioned pickles and jars of preserves. We walked away with a quart of fresh pickles, the last two pickled tomatoes, and a half pint of pickled beets. All were delicious, though the pickled beets might have been the winner. Red orbs floating in a brine bright enough to tie-dye with, they were sweet, tangy, and delectable. 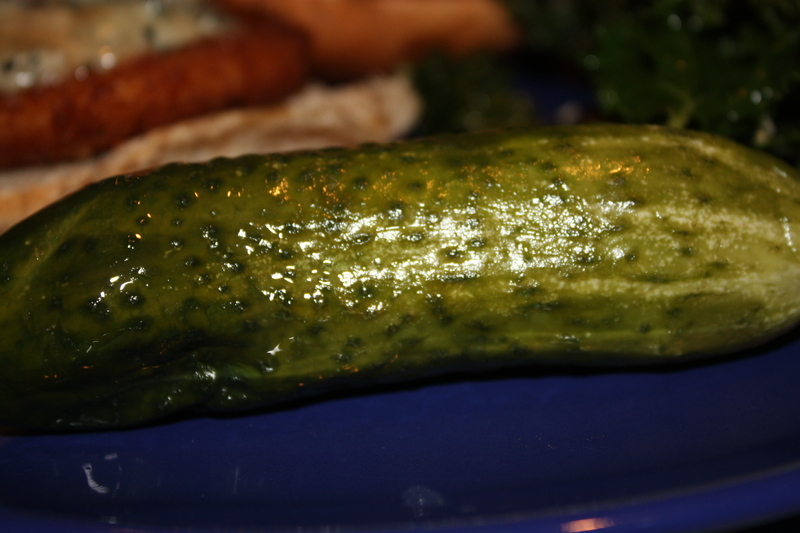 The fresh pickles were my joy–crisp and with the light brine that allows the cucumber to really shine. Problem is, after a few days, they get a bit soggy, so perhaps better in smaller quantities. Pickled tomatoes were new to my companion who realized that he could meet a pickle he didn’t like. I, as you may have guessed, loved them too. 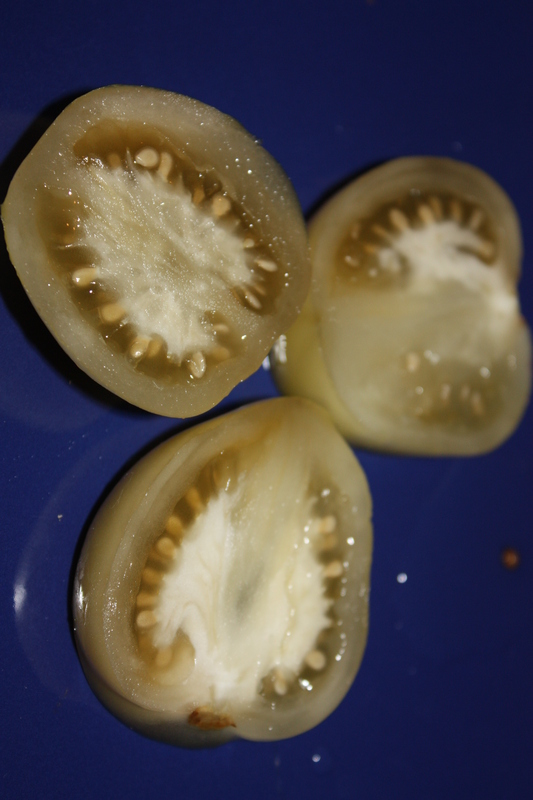 They were firm and sour, with a great deal of bite to them and would be perfect accompaniment to a fatty sandwich. Or to a glass of wine. Recommended: Cabernet Franc. 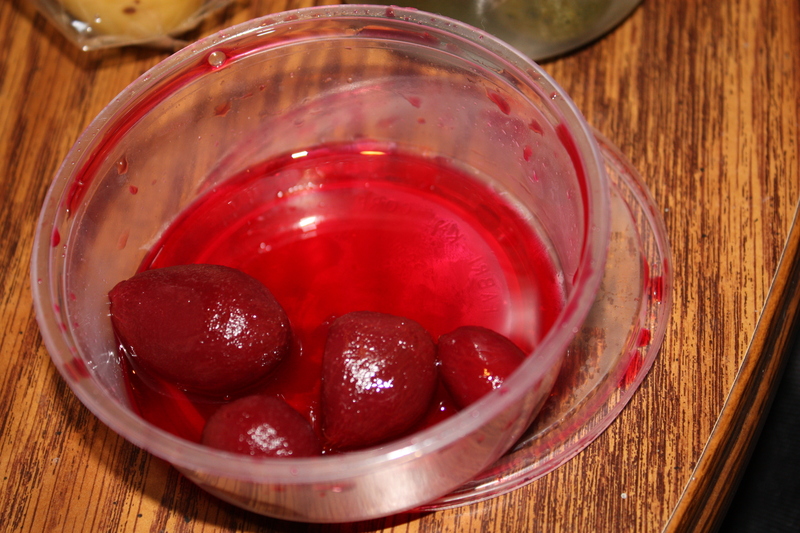 Pickled beets and tomatoes. No denying it, I like the sensual things of the world, especially good food and drink, though I'm no snob when it comes to either. 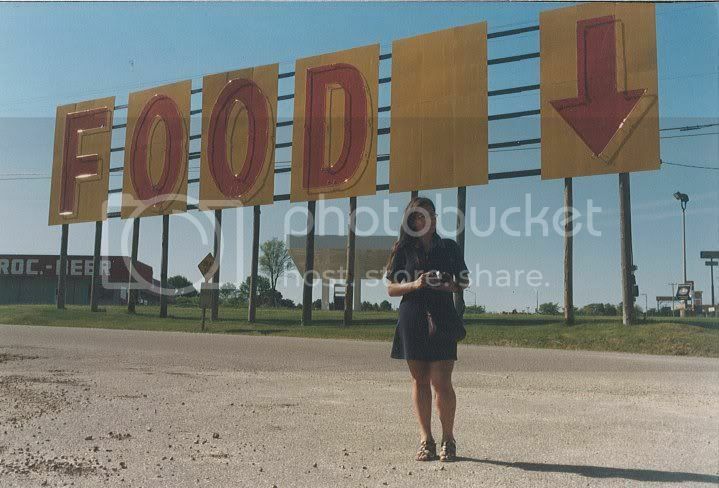 A background in American cultural history and food studies makes me approach the world with a desire for contextualization and connection on the way to synthesis.